Suspensions (a type of heterogeneous mixture) occur when one thing has particles of another thing floating around in it. After a while, however, the little floating things eventually separate from the thing it floats in and settles to the bottom. Common examples: Peanut butter (which is why you sometimes see oil on the top of old peanut butter), ketchup (which is why you get that weird drool when you first pour it), and mud (after a while, the dirt settles to the bottom). This is what a humiliated suspension looks like. Colloids (also a type of heterogeneous mixture) occur when there are little particles of one thing floating in another but the floating things don’t settle to the bottom. The reason for this is something called Brownian motion, in which the particles are so tiny that they are kept in place by their random collisions with the molecules around them. The types of colloids include aerosols (smoke, fog), foams (shaving cream, Styrofoam), sols (paint, blood), emulsions (mayonnaise), and gels (Jell-O™). For more info about these, visit footnote 1 below. Solutions are made when one thing is dissolved into another thing. The thing that gets dissolved is the solute, and the thing that does the dissolving is the solvent. Solutions are also known as homogeneous mixtures, so if you remember back to that lesson from much earlier in the year, you’re already ahead of the game. Most of the solutions chemists work with have a solid solute dissolving in a liquid solvent, like when salt (solute) dissolves in water (solvent) to form salt water. However, there are examples of other types of solutions that are a little less obvious². Generally, chemists do reactions with solutions because it allows the particles of solvent and solute to move freely, making it more likely that they’ll come into contact with one another and undergo a chemical reaction. Once we accept the fact that it’s possible to make something dissolve (and I’m assuming that you’re OK with this idea), we need to figure out how to tell people about how much stuff is dissolved. This measurement of solute in a solution is called concentration. 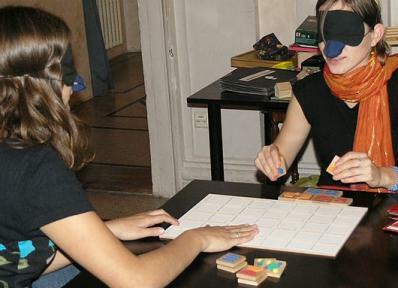 Concentration is also the name of a game played by freakish human/bird hybrids. If we say that we have a concentrated solution, we’re basically just saying that we have a bunch of stuff dissolved. If we say it’s a weak solution, there’s not too much stuff dissolved. Unfortunately, these terms are a little vague, so it’s probably a good idea to come up with something a little more precise. Unsaturated solutions are solutions in which you can still dissolve more solute. Imagine this: If you dissolve one grain of salt into a glass of water, the resulting solution would be called unsaturated because you could still dissolve another. The term unsaturated is pretty vague, because whether you drop one gram or one hundred kilograms of salt into a swimming pool, both will result in a solution that is still capable of dissolving more solute. Saturated solutions are solutions in which the maximum quantity of stuff has been dissolved. In other words, if you’ve got a saturated solution of salt, any added salt will just settle down to the bottom because it will be unable to dissolve. If you have spent any time around a small child, you’ve probably seen this in the form of Kool Aid with vast quantities of undissolvable sugar piled on the bottom of your glass. If you look at the green line for barium nitrate, you’ll notice that it goes up as the temperature increases. As a result, a saturated barium nitrate solution will have a concentration of 20 g/100 g water at 60 degrees Celsius, and a concentration of 30 g/100 g water at 87 degrees Celsius. As a result, if I say that I have a saturated solution of barium nitrate and I know what the temperature is, I’ve specified exactly what the concentration is for this solution. 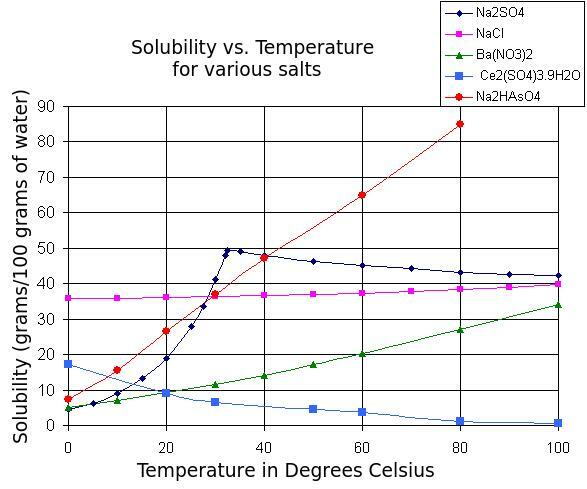 (An aside: Generally speaking, solid solutes become more soluble as temperature increases while gaseous solutes become less soluble. There are some exceptions to this (the cerium sulfate salt above), but it’s usually a pretty good rule of thumb. Supersaturated solutions are metastable solutions in which there’s more solute dissolved than the theoretical maximum on a solubility chart. For example, if you were to have a sodium chloride solution with 70 grams NaCl dissolved in 100 grams of water at 40 degrees Celsius, this solution would be supersaturated because the theoretical maximum would be about 37 g / 100 g water. By itself, saying that a solution is supersaturated doesn’t tell us anything precise about how much solute is dissolved. The term metastable in this case means that something can be observed and manipulated, but that it’s at a higher energy than it would like to be. Given the chance, anything metastable will move to its preferred lower energy state. If you imagine a cat balancing on the top of a door, you might consider this metastable because it’s at an artificially-high energy state and will eventually return to a lower one (i.e. fall to the floor). As a result, supersaturated solutions, if given a chance, will get rid of the excess solute to become merely saturated. So, how do you make a supersaturated solution? Usually you make a saturated solution of a solute at a high temperature, and then cool the solution down – this causes the theoretical maximum solubility to decrease and the solution to all of a sudden have more stuff dissolved than it should. Saturated solutions can also be made by evaporating solvent from a saturated solution. One way you can’t make a supersaturated solution is to just dump a ton of solute into the solvent – after the solution becomes saturated, anything else you add will just sink to the bottom. Fun fact: When scuba divers spend a long time underwater, various gases become saturated in their bloodstream. When they rise and the pressure is released, the gases form bubbles that cause crippling pains and perhaps death. 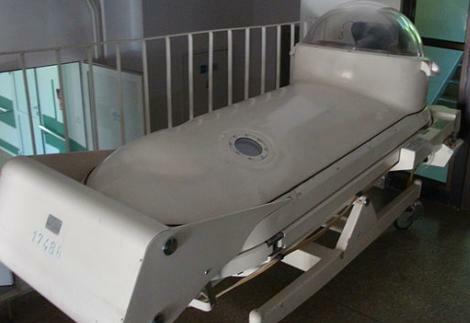 Fortunately, getting into one of these coffin-like decompression chambers might keep you from dying. If you’re lucky. So, how do you tell if a solution is saturated, unsaturated, or supersaturated? If that grain of solute dissolves, the solution was unsaturated. Note that we don’t know how unsaturated it was, just that it could still dissolve more solute. If the grain of solute sinks to the bottom, the solution was saturated. It’s dissolved all the solute it can, so anything you add just sinks. If you see a whole bunch of crystals form, the solution was supersaturated. Adding the new crystal of solute causes the extra solute to start crystallizing on it. As a result, you’ll end up with a beaker full of crystals (corresponding to the solute that make it supersaturated) and whatever liquid was left will be saturated. Though we all like saying “saturated” or “unsaturated”, that alone doesn’t really give us all that much information. If we’re going to do awesome chemistry, we need to describe concentration numerically. Molarity is easily the most-often used unit of concentration in the world of chemistry, as it provides a very easy relationship between moles and liters of solution. There are other units of concentration you’ll need to know (I’ll tell you about them in a minute), but this is the big one. If we have two moles of solute dissolved to make one liter of solution, the molarity of the solution would be 2 mol/1 L = 2 M. This is referred to as a “2 molar solution. Example: What’s the molarity of a solution if 87.4 grams of sodium hydroxide is dissolved to make 3.50 liters of solution? Answer: To find molarity, we need to find moles of NaOH and liters of solution. The liters part is pretty easy (it’s told to us in the problem as 3.50 L) and the moles part just requires that we convert 87.4 grams of NaOH to moles (it’s 2.19 moles, using 40.0 g/mol as the molar mass of NaOH in the mole calculation). Thus, dividing 2.19 moles of NaOH by 3.50 L, we get a 0.626 M NaOH solution. so if you were to add two moles of solute dissolved into one kilogram of solvent, the molality of the solution would be 2 mol / 1 kg = 2 m. This is referred to as a “2 molal” solution. You may be wondering what the difference is between molarity and molality, particularly since the density of water is one kilogram per liter, making the molality of aqueous solutions equal to the moles of solute per liter of solvent. That’s not a bad question. Weigh out 2.0 moles of solute. Add water to it until the volume of the solution is 1.0 L.
Add 1.0 liter of water to it. Given that there are three components in this mixture, there will be three mole fractions (one for A, one for B, and one for C), and when you add them they’ll equal 1. Mole fraction turns out to be particularly handy when dealing with solutions in which there are several liquids combined with each other, because you can’t really define any one in particular as being the solvent. Of course, it’s also handy for other stuff, as we’ll see later. Let’s say that we add 45 grams of sodium chloride to 84 grams of water. In this case, the percent by mass will be equal to the grams of sodium chloride (45 grams) divided by the total mass of the solution (45 + 84 = 129 grams). Multiply by 100% to find that it’s 35% m/m. If we had 35 mL of isopropanol and added water until the volume of the solution was 89 mL, the percent by volume would be the volume of isopropanol (35 mL) divided by the total volume of the solution (89 mL) times 100. Which is 39% v/v. Obviously. Courtney Love believes she’s 100% awesome. Which is not true. Aerosols occur when particles of solid are suspended in gas (such as smoke) or droplets of liquid are suspended in gas (fog). Foams occur when gas bubbles are suspended in either liquids (such as shaving cream) or solids (such as Styrofoam). Sols occur when solids are suspended in liquids, such as ketchup, peanut butter, and blood. Emulsions are when a liquid is suspended in another liquid. Mayonnaise is an example, which is why it gets gross after a while, but doesn’t separate. Gels occur when liquids are suspended in solids. Jell-O™ brand gelatin dessert is one example, and also a delicious end to your meal. Remember, “There’s always room for Jell-O™!” This slogan is trademarked by the Kraft Foods Group, Ltd. and should not be taken as an endorsement of this site. However, I do really like Jell-O™ desserts, so if you work for Kraft Foods Group, Ltd., please send me some Jell-O™. Or at least don’t sue me. Solutions in which the solvent is a gas and the solutes are also gases (basically a mixture of gases). Air is an example of this that you probably use several times a day. Solutions in which the solvent is a solid and the solutes are also solids. Metallic alloys are examples of these. Solutions in which both solvent and solute are liquids. When liquids mix like this, they’re said to be miscible with one another (while if liquids don’t mix – like oil and water – they’re said to be immiscible). Solutions in which the solvent is a solid and the solute is a gas. This isn’t all that common, but hydrogen likes to dissolve to a greater or lesser extent in various metals. This is often used in hydrogenation reactions where unsaturated fats are turned into saturated fats. Solutions in which the solvent is a liquid and the solute is a gas. Soft drinks contain dissolved carbon dioxide in water – the carbon dioxide leaving the solution is what makes the little bubbles. 3. Well, sort of. It turns out that when you dissolve something, the volume of the solution that’s made will be slightly less than the volume of solvent + volume of solute. This is because solute particles can fit in between solvent molecules, shrinking the volume just a little bit. It’s not a big difference, but it is measurable. 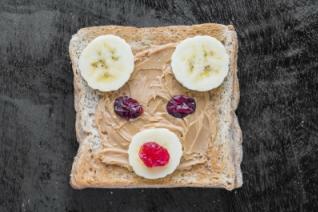 Peanut butter humiliation: Image courtesy of Thanakon at FreeDigitalPhotos.net . 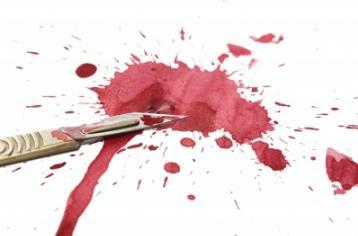 Blood: Image courtesy of Simon Howden at FreeDigitalPhotos.net. Concentration of the duck people: By Matěj Baťha (Own work) [CC BY-SA 3.0 (http://creativecommons.org/licenses/by-sa/3.0)%5D, via Wikimedia Commons. Solubility table: Modified version of SolubilityVsTemperature.png: Walkerma derivative work: Ortisa (SolubilityVsTemperature.png) [Public domain], via Wikimedia Commons. Decompression coffin: By Ciacho5 (Own work) [CC BY-SA 3.0 (http://creativecommons.org/licenses/by-sa/3.0)%5D, via Wikimedia Commons. Courtney Love: By Tom Edwards from London, England (Courtney Love) [CC BY 2.0 (http://creativecommons.org/licenses/by/2.0)%5D, via Wikimedia Commons. This entry was posted in Tutorial and tagged colloid, concentration, Courtney Love, crippling pain, duck people playing concentration, heterogeneous mixture, homogeneous mixture, mixture, molality, molarity, mole fraction, percent by mass, percent by volume, solution, suspension. Bookmark the permalink.